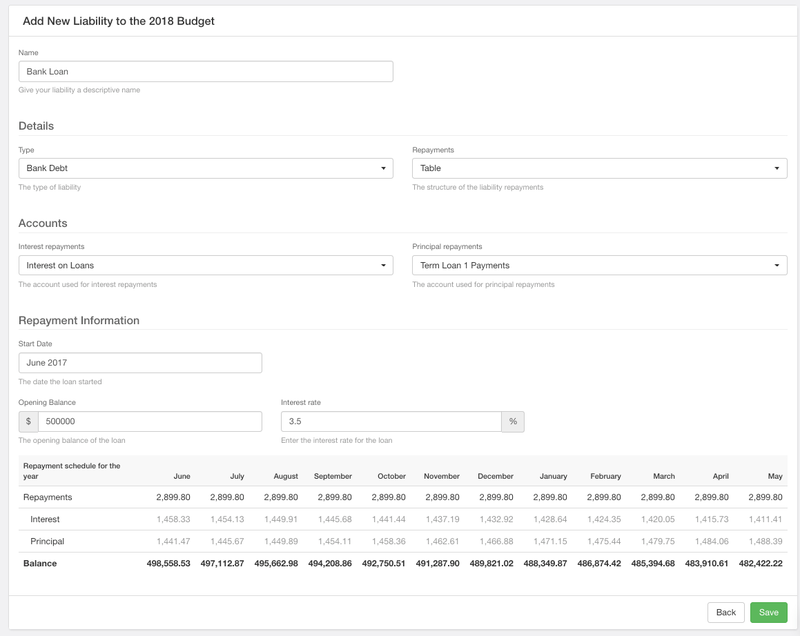 In order for your balance sheet to run for budgets & forecasts, you must first enter your opening balances within the asset and liability register. Each farm with a planning tab will have access to the register, and it can be viewed as budget, forecasts, or actuals + forecasts. 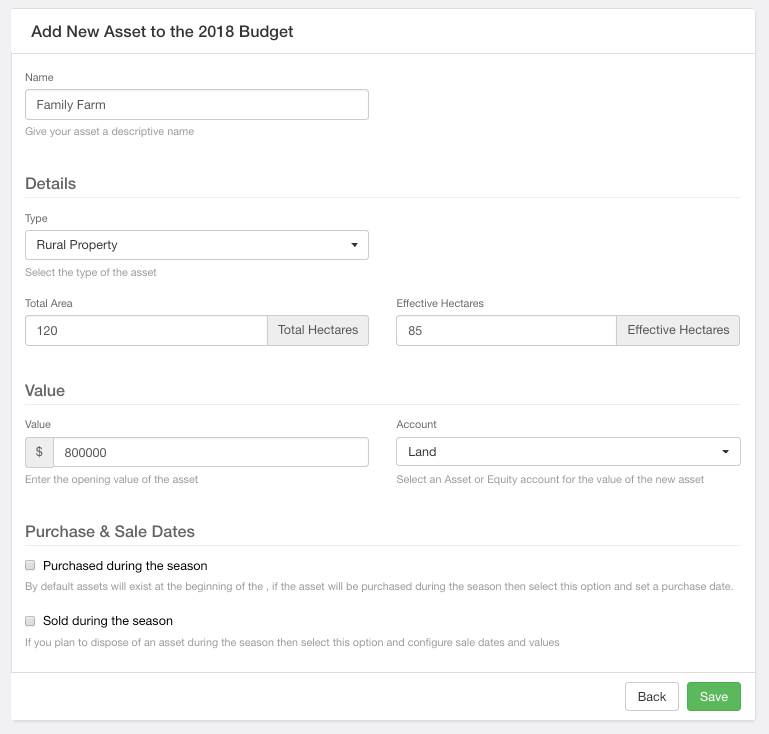 You can choose to edit existing assets and liabilities, or add new ones. Each financial year, you will enter the opening balance of each asset and liability. You can enter it as per Xero's own balance sheet, or enter other values depending on how you wish your budgeted balance sheet to present itself. Before you are able to add in assets, you must first configure the gain / loss on sale account. You would in most cases have an account in your chart of accounts for this sole purpose. If an asset is sold or purchased during the financial year, then this information will flow through to your planning tab & reports. Underneath all of this information is a table calculating repayments made - interest and principal (if applicable). This will in turn flow through to your planning tab and reports for budgets or forecasts. NOTE: Accounts payable and accounts receivable values are automatically calculated based on the various budgeted or forecasted movements made throughout the year against other accounts.